5 Great Ways to Tell Mom Thanks This Mother's Day! 5 Great Ways to Tell Mom Thanks This Mother&apos;s Day! Mother&apos;s Day has always been a favorite of mine. That probably has a little something to do with the fact that I am pretty sure I have the best mom on the planet. 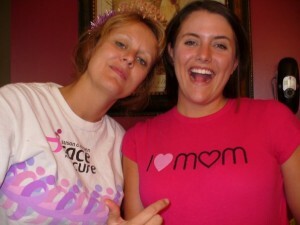 (I even have an I heart mom shirt to prove it!) Now, being a mother myself is one of the greatest joys of my life. So daughters and sons and husbands who want to honor their wife, I came up with a short list of some great gifts in Hendricks County to tell that special mom in your life just how great she is this year! 1. 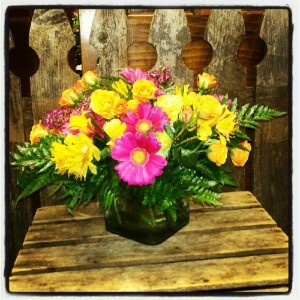 Brighten Her Day with a Nice Bouquet: All ladies love flowers! If they say they don&apos;t, my guess is they are lying. We have some wonderful florists in Hendricks County that offer some beautiful flowers for any occasion you may have. One of my personal favorites is Flowered Occasions in Downtown Plainfield, Indiana. Owner Kelly has a beautiful shop with a great selection of flowers. For Mother&apos;s Day, she has a few specials for mom. The first is a mixed-spring arrangement for $35. She also will have special cash-and-carry wrapped bouquets for $20. Want something unique? Kelly can do that too just give her a call and let her know what you are looking for, and she will create something that&apos;s perfect for the mom in your life. 2. Wine & Dine Mom: Hendricks County is home to a wonderful winery, Chateau Thomas Winery in Plainfield. Chateau Thomas will be offering a wonderful Mother&apos;s Day brunch for the whole family to enjoy on Sunday, May 12. The brunch is $25 a person, ages 5-12 are $12.50 and children under 5 are free. After brunch, sample some of the winery&apos;s great wines. This event will be very popular, be sure to call for reservations at (317) 203-7833. 3. Spruce up Mom&apos;s Garden: Spring is here and mom is probably ready to get her gardens looking festive! Why not take her on an outing to the beautiful Avon Gardens and let her pick out something new for her garden this year. Avon Gardens has a beautiful selection of plants, trees, flowers and perennials. Their knowledgeable staff can answer any question mom might have and their gardens are sure to relax and inspire any mom. (While you&apos;re shopping, take a photo with you and mom in their tranquil gardens. Moms love capturing memories like that!) Want to send mom to have some fun? Avon Gardens has some great events coming up this month including: Pot Parties in the Container Gardens and Girls Night Out. Be sure to check here for more information. 4. Show Mom the "Finer Things" of Life: Making Mother&apos;s Day unique is not always easy but Finer Things of Brownsburg has done all of the work for you! Finer Things is a great shop filled with tons of unique items that mom will love. Special items for Mother&apos;s Day include: locally designed and handmade jewelry, purses, and other accessories, clay flower arrangements, individual and mother/daughter apron sets made from upcycled, men&apos;s dress shirts, Indiana and Kentucky Artisan juried foods and honey products and vintage soda six packs. Saturday, May 11, is a second Saturday so they will have a visiting artist in the studio and will host a "tasting" of some of the new foods. You can pick and choose what you want to include in a gift basket and free gift wrap is available. 5. 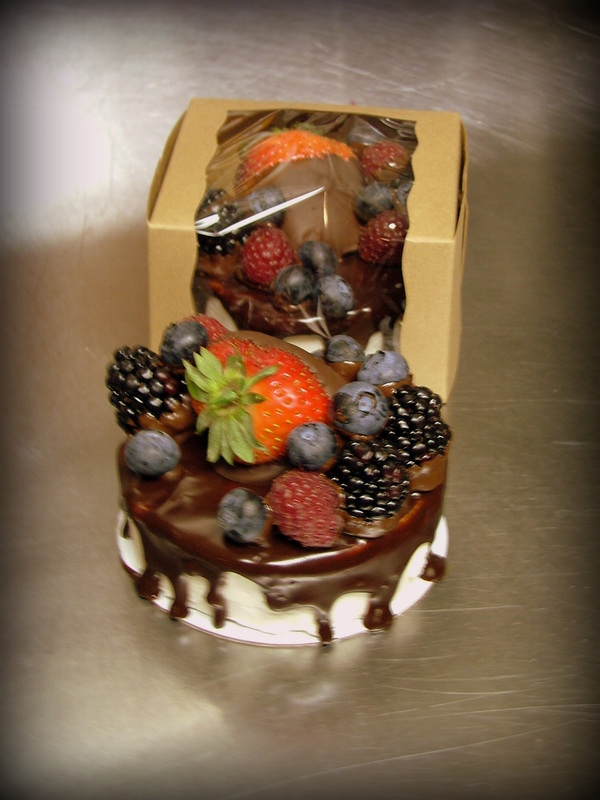 Tell Mom How Sweet She is: Start Mother&apos;s Day weekend off right by filling mom&apos;s sweet-tooth craving with a visit to the Bread Basket Cafe & Bakery in Danville. This awesome eatery/bakery located in the heart of Danville is the perfect, quaint location to take mom for a nice Mother&apos;s Day brunch. Saturday, May 11, the Bread Basket will feature Strawberry Nutella Crepes as a special Mother&apos;s Day brunch item. You might not have to get her anything else as a few of those should show her how much she is loved! Want something to take home and surprise mom with? The Bread Basket offers a great selection of locally blended teas. This special tea can be purchased by the bag as a gift or enjoyed per cup at the cafe. The Bread Basket will also have special Mother&apos;s Day mini berry cakes available for purchase. This is a small list of easy ways to tell mom this week that she is appreciated and loved! Have any more great ideas to share with our readers? I would love to hear them, please share below! To all of the moms out there Happy Mother&apos;s Day! Take a day and pat yourself on the back, you deserve it!